Prepare for a creative explosion! 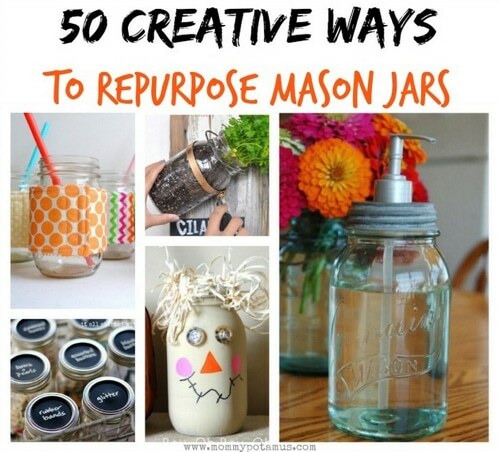 There is no end to the creative uses for those boring, ‘ol mason jars. You can spend all summer crafting these 50 different ideas. You’ll find some old standbys like vases and candle holders but some really fresh ideas too. How about a terrarium or a lantern? A mason jar lamp or snow globe? If you are new to crafting or a seasoned pro, you’ll love this broad assortment of great ideas.